I got to use the Orb of Control tonight! I don’t understand why I made Horridon bash the gate though. He’s so cute. I would have made him come hang out with me. We’d be good buddies. On Wednesday we defeated the Council of Elders for the first time! It was a really fun fight in my opinion. I love seeing the various troll tribes act as individuals even while acting as a group. Just as with Horridon, the Council of Elders showcases representatives of each troll tribe (especially if you consider the Darkspear representative in opposition). We had thirteen failed attempts before our successful kill; the video shows the last few seconds of each failure before the full success. Now it’s on to Tortos! 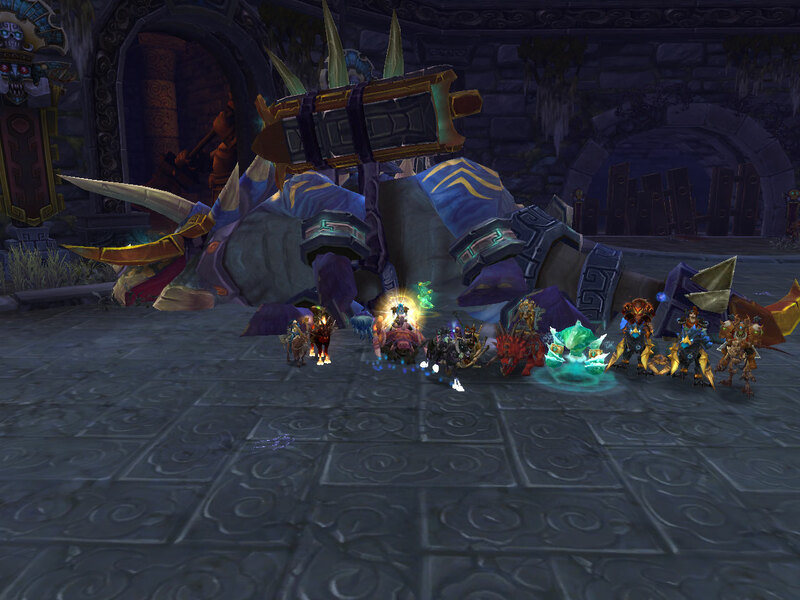 This week we killed Horridon for the first time! I think I’d look good riding on a Horridon. Sadly, the mount didn’t drop. It would pretty nice to have one day. It only took us 13 wipes to down Horridon for the first time! That seems like a lot, but I guess it wasn’t so bad. I think it was only two nights. We put some attempts into the Council of Elders as well but didn’t get far. Maybe we’ll progress more next week! I Have Discovered the Source of Forum Complaining in Mists!, Balkoth, Balkoth’s Word, 4/13/13. This is an extremely fascinating article. The idea is that opinions on how much effort gear is worth varies drastically. 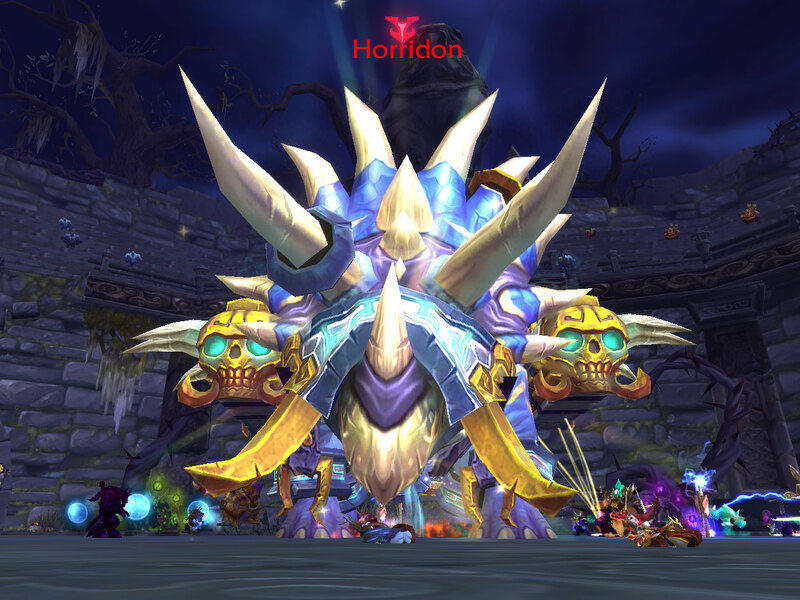 Balkoth found that 32.7% of responders think you’d be crazy to kill 200 mogu for a BiS heroic ring. Next, 50% think you’d be crazy not to kill 500 mogu for the ring. At 1000, 41% think you’d be crazy not to go for the ring. Lastly, 13% think 5000+ mogu is reasonable. Blizzard can’t make everyone happy. Mini Horridon, Arvash, The Crimson Hammer, 4/17/13. I didn’t even realize Horridon dropped a mount. It’s so cute! I want one! Savage trolls roleplay the revenge of the Zandalari, Lisa Poisso, WoW Insider, 4/11/13. Atal Zanza Aka on Argent Dawn (EU) is a roleplaying guild of trolls loyal to the Zandalari based in Zul’Gurub. Very cool. Depths of Uldaman: Why we should go back, Matthew Rossi, 4/12/13. What do we know about Uldaman, and why should we go back? 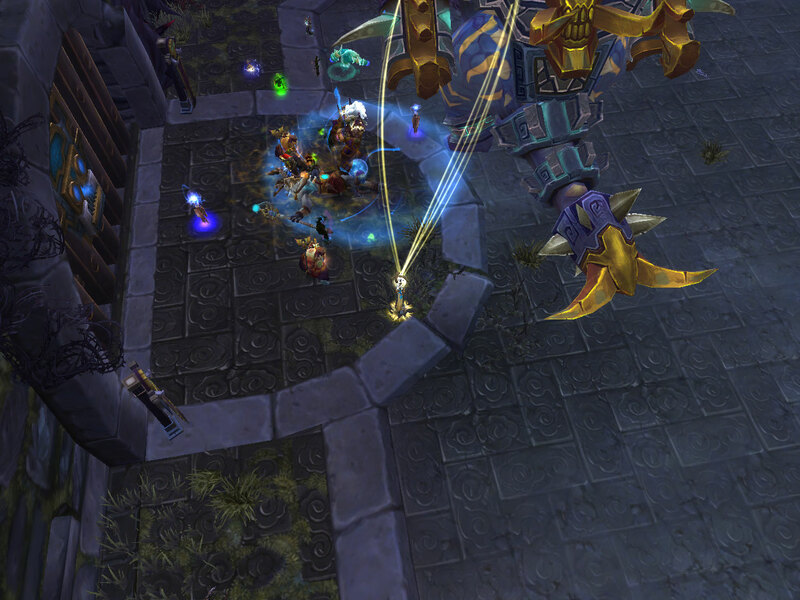 Know Your Lore, Tinfoil Hat Edition: What was the purpose of Uldaman?, Matthew Rossi, WoW Insider, 4/10/13. Rossi guesses as to the purpose of Uldaman. I wonder if Blizzard actually thought that far ahead. The eternal question of mounting versus running, Olivia Grace, WoW Insider, 4/15/13. Jarre of Rank4HealingTouch provides some math to determine what’s faster – mounting or running. 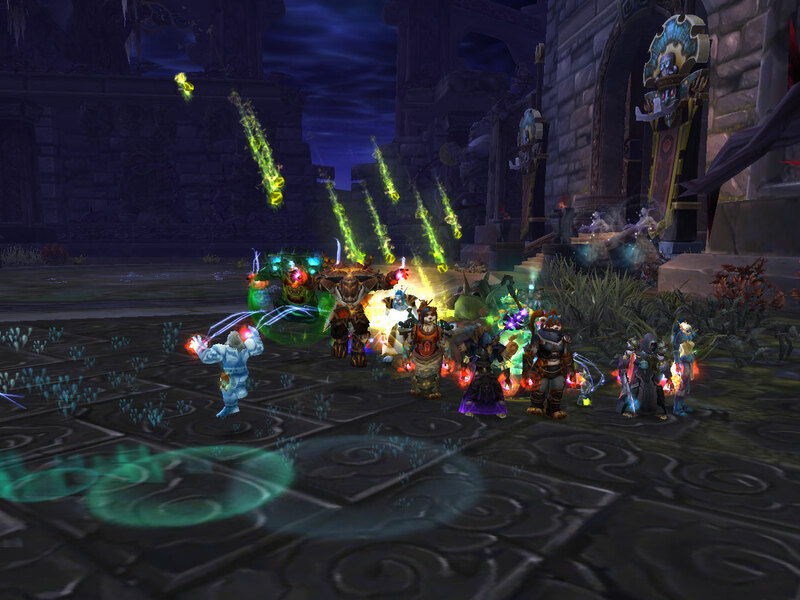 Patch 5.3 PTR: Role Check in Battleground queues, Olivia Grace, WoW Insider, 4/15/13. Here’s an interesting change. You’ll now have to pick your role when queuing for a battleground. From now on, the difference between the two teams’ number of healers can be no more than one. I wonder if I can just queue as DPS and then heal. First Impressions: SWTOR’s Rise of the Hutt Cartel, Eliot Lefebvre, Massively, 4/15/13. If you’re curious about what’s been happening in TOR, Lefebvre can bring you up to speed. Horridon wants to say “hello.” Isn’t he cute? I want stuffed animal versions of pretty much every dinosaur introduced in 5.2.